I visited a new site on the weekend. The Seaford Wetlands: a remnant of the old Carrum Carrum Swamp that extended from Mordialloc right around the bay to Frankston. What is left of the old swamp is still the largest natural wetlands left within the Port Phillip and Western Port catchments. 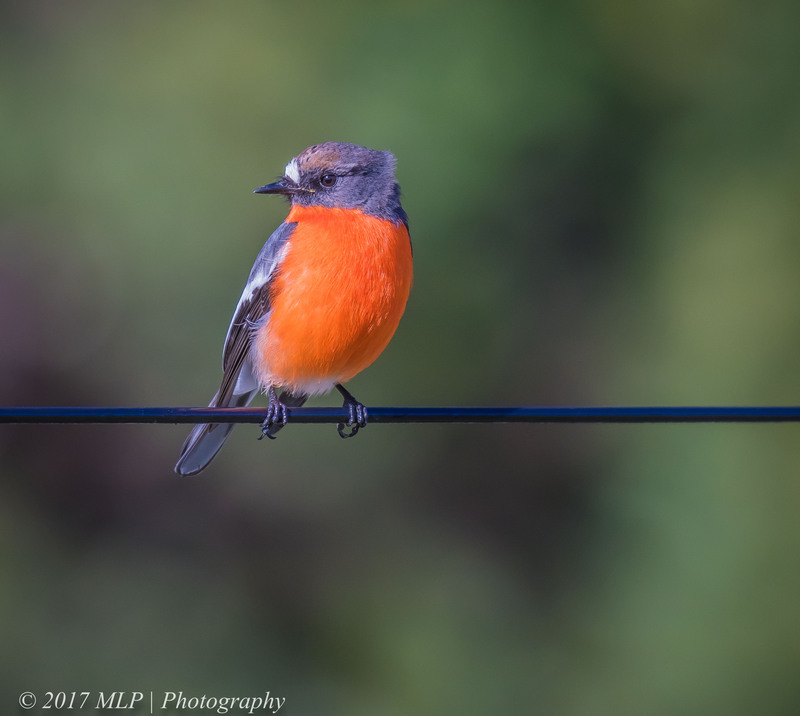 I walked through the wetlands from the rear of the Seaford North Primary School and over to the other side where I found a small line of trees and bushes that had a number of birds working the grass area for seeds and insects. 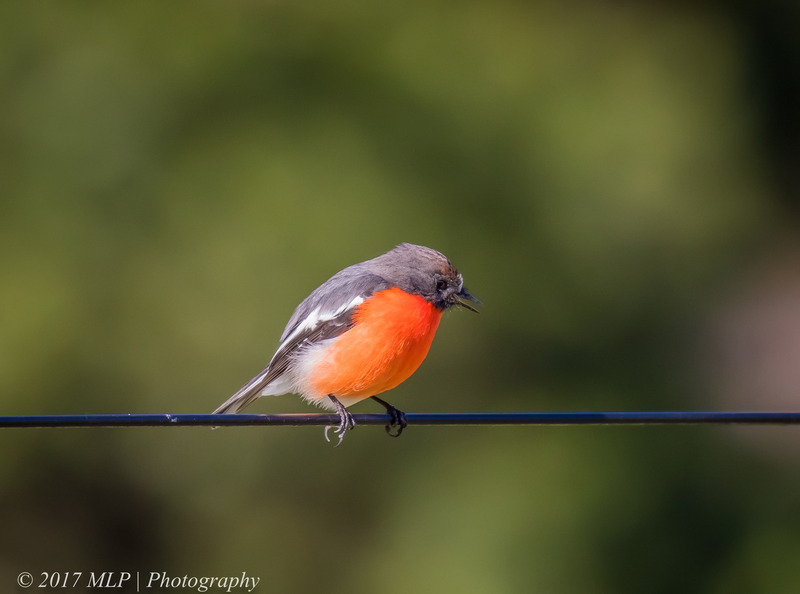 Amongst the birds using the fence line as a lookout for insects was a Flame Robin. 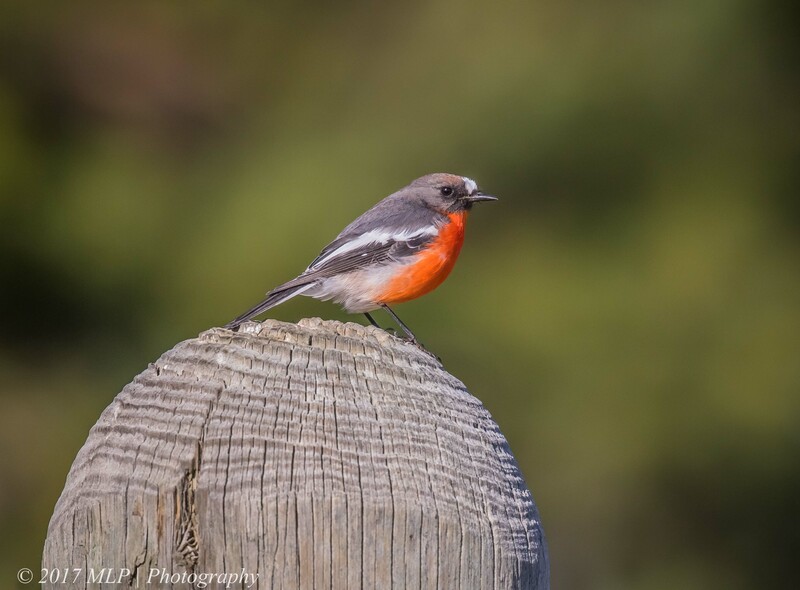 This entry was posted in Birds, Victoria and tagged Australia, Australian Birds, Bird Photography, Flame Robin, Nature Photography, Photography, Seaford North, Seaford Wetlands, Victoria. Bookmark the permalink. A Beautiful bright bird David! The flame Robyn Trudy lives up to its name.